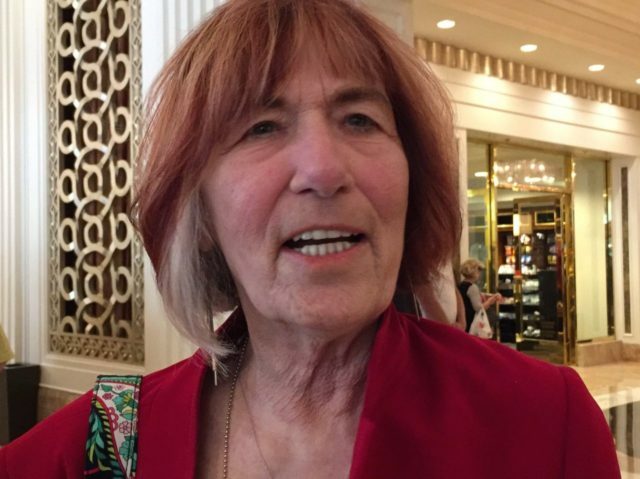 Patricia Smith, one of the bereaved mothers who lost a son in the Benghazi terror attack of Sep. 11, 2012, told Breitbart News that the third presidential debate on Wednesday “stunk.” “They didn’t even mention Benghazi,” she said with evident disgust. Smith had been the guys of the Donald Trump campaign, and told Breitbart News prior to the event that she hoped she would hear some answers about what happened to her son, Sean Patrick Smith, who was killed along with three other Americans. “I want an answer as to why my son is dead,” she said, choking back tears. After the debate, Smith seemed left with even fewer answers. Though Trump brought up Libya, as an example of one of Clinton’s failures in office, he did not specifically mention Benghazi, and moderator Chris Wallace did not bring it up, despite his otherwise even-handed performance. Smith was a diplomat who died at the U.S. consulate compound along with Ambassador Christopher Stevens. Smith had written earlier in the day that he believed the consulate’s security guards were in fact casing the building for a potential attack. Stevens’s earlier requests for more security in Benghazi had been denied by Clinton — though she later claimed not to have read personally the cables he sent requesting additional security resources.